Judd Builders is an Asheville, NC area home builder that specializes in custom homes, upscale remodels and commercial construction. Driven by a passion for building client relationships and meticulous attention to detail, we have a reputation for building exceptional custom homes and exceeding our clients' expectations. In 2007 John Judd Sr. and John Judd Jr. had a clear vision for Judd Builders: Build trust, treat clients with the utmost respect, integrity in all that they do, unquestionable value and superior craftsmanship. A decade later this vision drives everything that we do. As a family-owned company, we take pride in treating clients and employees like family. 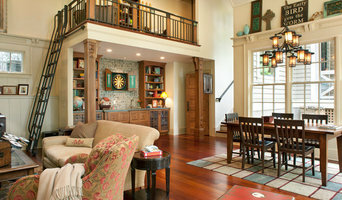 Judd Builders's attention to quality and craftsmanship is unsurpassed. That’s why we dedicate ourselves to a limited number of custom homes, remodels and commercial projects in Western NC, Eastern TN, and Upstate SC each year. This allows us to build homes with distinction, unquestionable value, and superior craftsmanship. 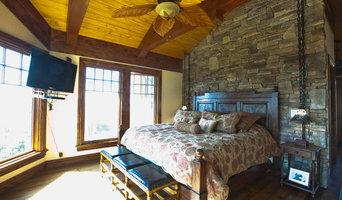 Many Asheville NC home builders will tell you their quality is superb but very few have an in-house crew of professionals dedicated to only their projects. Most Asheville builders sub out their work which gives them less quality control and it shows in their final product. We are committed to our employees and value their commitment and hard work. 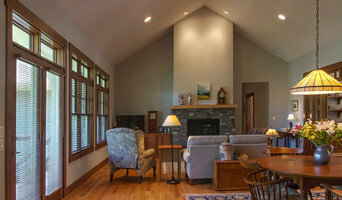 At Red Tree Builders, Inc. we are a dedicated green building firm. We take every aspect into consideration of what it means to be green when building our homes. Our homes are better to live in, perform better, and last longer. Our easy-to-understand and unprecedented competitive advantages, along with a wide variety of plans and elevations, make the benefits of our Design-Build method extremely appealing to home-buyers. We believe that an investment as significant as a new home should be built to a high level of quality – in the design, detailing, materials and workmanship. We offer each client an exceptional level of personal service and support in an effort to make the building process straightforward, manageable, and fun. Our fundamental goal is to exceed each and every client’s expectations while remaining within the predetermined budget. We are dedicated to providing an alternative to the old and often inefficient method of building homes. Our homes have been featured on the cover of Green Home Builder magazine along with winning such awards as Best in Green Award for Single-Family Custom Home, Innovative Home Award, Craftsmanship Award, and N.C. Star Award for Best Energy Efficient Home in the State. 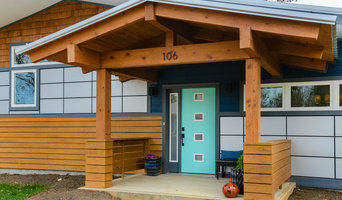 Our Homes Are Built To Last Our Homes Are Built To Perform Our Homes Are Built To Save Our Homes Are Built To Impress Brandon Bryant owner is a Certified Green Building Professional, and use the whole house approach to building. Whole house approach assures every system is considered in relation to every other system in a house to build an efficient, more comfortable, safer, and more sustainable home. Along with serving on the board of Asheville home builders association, Brandon has been named Top 40 Under 40 for Builder Magazine and One of the Five Best Young Green Professional from the National Home Builders Association. Rooted in Buncombe County, North Carolina, Semper Fi Custom Remodeling is solely focused on renovating homes and building home additions. In particular, Semper Fi specializes in kitchen, bathroom, and whole home renovations, small home additions, as well as aging-in-place and universal design modification services. Semper Fi is also more than happy to assist you with all the resources you might need for other types of projects. Semper Fi’s knowledge of building codes and permits, as well as their accreditation and pool of resources make them your community’s go to project managers. Due to Semper Fi Custom Remodeling always prioritizing client-builder relationships and maintaining excellent communication with each customer, they are perfectly positioned to work on both long-term homes and vacation getaways. Semper Fi Custom Remodeling is owned by Jay Cope and Chris Harrin, childhood friends who served in the Marine Corps together. It was there they developed their strong work ethic and moral code. They pay homage to the Marine Corps by embodying this ethical code in their craftsmanship and their interaction with customers, while continuously bringing pride to the veteran community. Semper Fi, the Marine Corps motto and Latin phrase meaning “Always Faithful”, is the way Semper Fi Custom Remodeling conducts their business as licensed and accredited contractors seeking to provide faithful and ethical service to you and your family. They aim to create beautiful and upgraded, yet safe and sturdy, homes for you and your family to grow into and enjoy for years to come. Semper Fi Custom Remodeling tailors its services for every project, adapting plans to meet the needs of each client individually. Whether you are re-imagining your home or wish to add more space for your growing family, Semper Fi Custom Remodeling will work closely with you to serve your best interest and cater to the unique visions you have for your remodel. As a licensed general contracting company, they will seek to manage every aspect of your project, removing any stress or worry you may have about making your dream home a reality. We have years of experience planning, managing, and executing construction projects of all kinds. Our team is professional and reliable, and we will work within your constraints. We always stay on the job until it's done to your satisfaction. Our construction experts are dedicated to completing your project (large or small) with quality results, on time, and within your budget. If you are looking to build a small add-on or a brand-new house, we team up with architects and engineers to get the job done. Need new windows? Need your bathroom remodeled? Is it time for a new room or a new deck? We will make your dreams a reality.